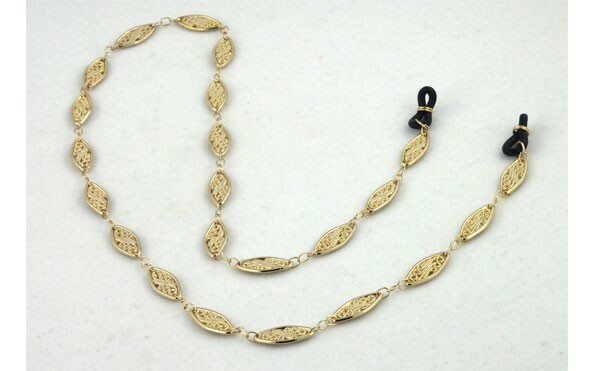 Sunshine Eyeglass Chain is a large link metal 24" gold plated chain with inside scroll work. Bolder than some, but elegant , and oh so fashionable. Great for daytime and evening wear.